Conservation-minded Waterkloof Estate, soaring on the slopes of the Schapenberg on the outskirts of Somerset West, unlocks nature’s true potential with elegant wines of great complexity as shown with the latest 2010 red wine trio in its acclaimed Circumstance collection. ‘The 2010 vintage Circumstance Merlot, Cabernet Sauvignon and Syrah, each echoes a unique symphony of fortuitous circumstances that influence the individual vineyard sites, including soil, aspect and altitude. 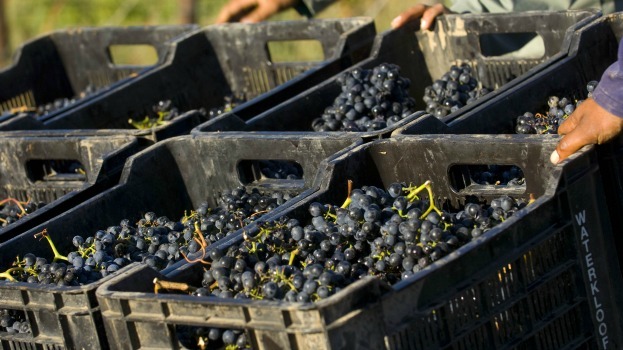 They express the grape types from which they are made with purity and integrity and set a high benchmark if you are looking to find out the true aromas and tastes of that particular grape type,” shares Waterkloof winemaker Nadia Barnard. Few wine farms are as green and environmentally responsible as Waterkloof where biodynamic practices and cutting edge sustainable endeavors reign supreme. Besides having Percheron horses to assist with a ‘lighter’ touch in the ploughing and spraying of the vineyards; sheep to keep the weeds under control, and earthworms to turn the soil, farm manager Christiaan Loots is always looking for better ways to harness the power of nature to produce Waterkloof’s unadulterated wines. One of his latest ‘green missions’ is to make a completely natural, sustainable fertiliser for Waterkloof, at Waterkloof, using materials from Waterkloof. “No farm in South Africa is 100% sustainable from a fertiliser perspective yet as they all still rely, to some degree, on purchasing fertiliser from an outside source. At Waterkloof we aim to become the first farm in the country to be entirely sustainable when it comes to natural fertilisers. Natural fertilisers include both nutrients and living bacteria to make those nutrients accessible for plants, whilst chemical ones do not offer any living life forms at all. Natural fertilisers allow farmers to add both nutrients and the critical microbes to the soil at the same time,” he explains. Christiaan is in the process of making his own completely natural fertiliser, using everything available at Waterkloof itself and is using a few approaches, none of which are new by way of age – they have been used for thousands of year, extensively in the East – but new by way of application in modern wine farming in South Africa. “What works best for a specific area should ideally come from that specific area. At Waterkloof we utilise what is already available to us and our natural methods include Bokhashi – a Japanese method of producing completely natural fertiliser that is high in nutrients – as well as worm cast tea high in aerobic microbes; biodynamic compost; green cover crop methods, and stable manure,” adds Christiaan. Waterkloof’s Circumstance wine range stems from high-altitude vineyards on the farm and due to the close proximity of False Bay and the vineyards’ height above sea level, the cooler climate ensures perfect conditions for slow, even ripening, which imparts intense flavours, complexity and finesse to the red varietals. At Waterkloof all the red grapes are fermented in open top wooden fermenters and in Nadia’s pursuit for more individually styled wines, she relies only on naturally present, wild yeasts during fermentation. Manual punch downs are used during fermentation to maximise colour and tannin extraction and the wines stays on the skins for up to 35 days. She also relies on the use of gravity to avoid excessive pumping of the wine. The Circumstance Merlot 2010, which hails from low yielding, elevated vineyards where cool growing conditions impart a balanced natural acidity, ripe tannins and terrific concentrated flavours to the grapes, is a smooth, textured wine with soft tannins and great length. It reveals pencil shavings, dark fruit and tobacco flavours on the nose whilst an elegant, bright acidity on the palate with juicy fruit linger to a long finish. Recommended food partners: Duck, braised lamb or venison fillet. The Circumstance Cabernet Sauvignon 2010 hails from even higher ground, with some of the vines stretching up to 300 meters above sea level where they benefit from strong South Easterly winds during the growing season which helps to control growth, crop size and quality. The wine spent 22 months in new and 2nd fill French barrels followed by another two months in the tank prior to bottling. It is a classical reflection of Waterkloof with a complex mix of blackcurrants, plum, spice and cedar flavours followed by sweet, ripe fruit on the palate. Fine tannins allow for a savoury, satisfying finish. The Rhône-style Circumstance Syrah 2010 was shaped by the high-altitude vineyards situated on the south-facing slopes of the Schapenberg which the winemaker values as one of the finest cool-climate vineyard sites in South-Africa. The wine spent 20 months in 600 litre barrels before bottling. It is luscious and ingratiating, showing pure floral and herb fragrances, with hints of spice on the nose. Bright fruit is carried by a fresh acidity on the pallet. Tel: 021 858 1292 or visit www.waterkloofwines.co.za.